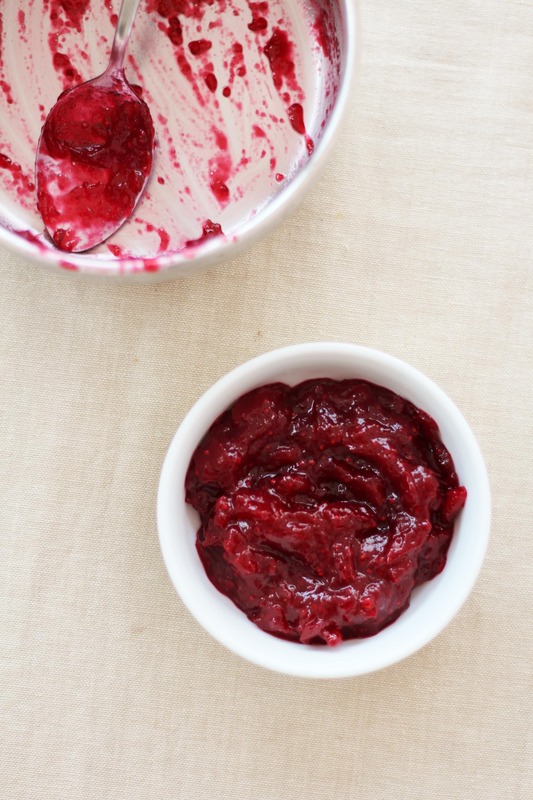 Need a simple, foolproof cranberry sauce recipe that only uses 3 ingredients? 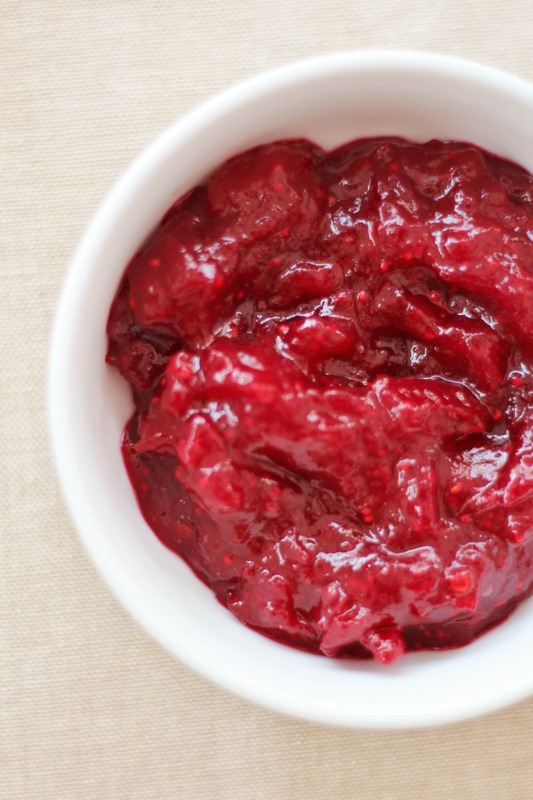 Try my Easy Peasy Cranberry Sauce. It only takes 15 minutes and you can even use frozen cranberries! 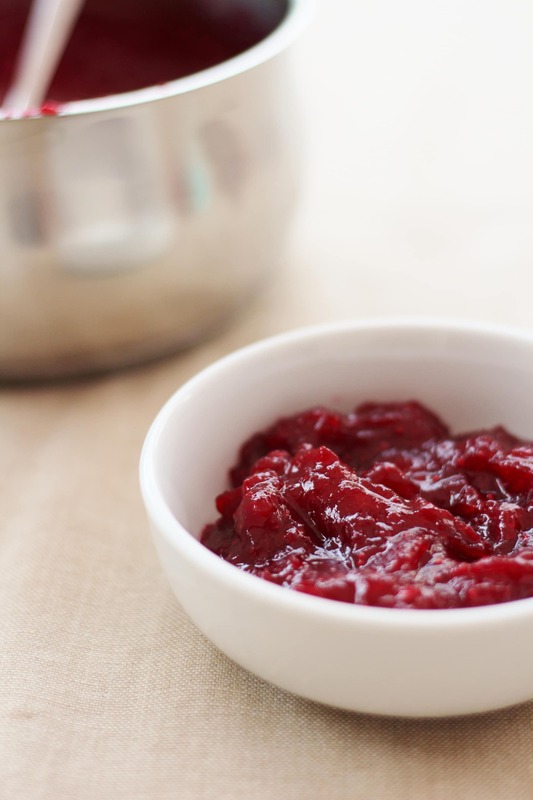 But it did occur to me that I haven’t properly shared my recipe for cranberry sauce…or rather I have shared it, but tucked away in my recipe for Christmas Turkey Burgers, where I called it cranberry relish! I have been blogging now for just over 18 months and whilst there are many areas that still confuse and befuddle me, even I know that people typing ‘Easy Cranberry Sauce Recipe’ into Google (other search engines are available) are unlikely to find it hidden away in a recipe for Christmas Turkey Burgers! This cranberry sauce recipe is so lovely, and so easy peasy, I hate the idea of people not being able to find it, so I’m re-releasing, so to speak, it under a more sensible name!! Mix the orange juice and sugar together in a small saucepan, then cook over a gentle heat until the sugar is dissolved. Add the cranberries and bring to the boil, simmer for 10 minutes until all the cranberries have collapsed and the sauce has thickened, stirring occasionally and squishing any particularly persistent ones. Remove from the heat and pour into a small serving bowl. I just love cranberries and get really excited at this time of year when fresh cranberries appear in the shops. Thanks for all the lovely recipes.